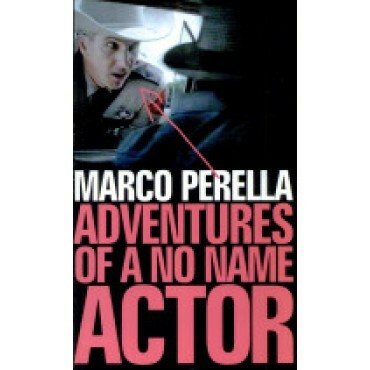 Marco Perella is a very successful actor. Which is not to say that he is a famous actor. Content to live in Austin, Texas, with his wife and children, he makes do with the parts that come his way. Whether he has been hired to float down a river dressed in a jester's suit, cast alongside a leading Hollywood lady as a deranged killer, or recruited to teach Kevin Costner how to dance, Marco Perella has met his acting challenges head on. His varied career has brought him into contact with some of Hollywood's biggest stars (including Michael Caine, Jon Voight, Eric Stolz, James Spader, Helena Bonham-Carter, Sandra Bullock, Renee Zellwegger, Drew Barrymore, Clint Eastwood, Oliver Stone, Barbara Hershey and Meg Ryan), and the tales he tells provide a little insight into these very recognisable names - not to mention an insider's view of an industry that continually fascinates us.